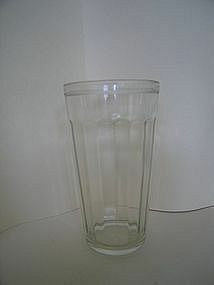 I hope that I'm not wrong is calling this a jelly or jam glass. It almost 6 inches in height and holds approximately 15 ounces. There are usage marks. I need your zip code to calculate the postage.